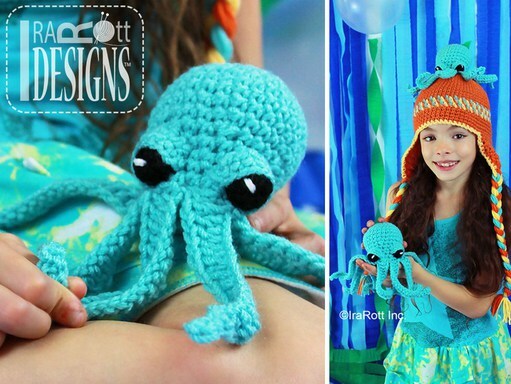 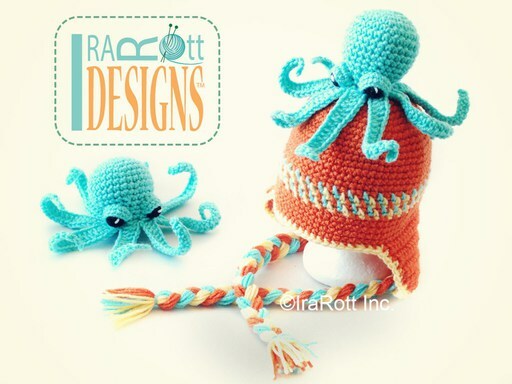 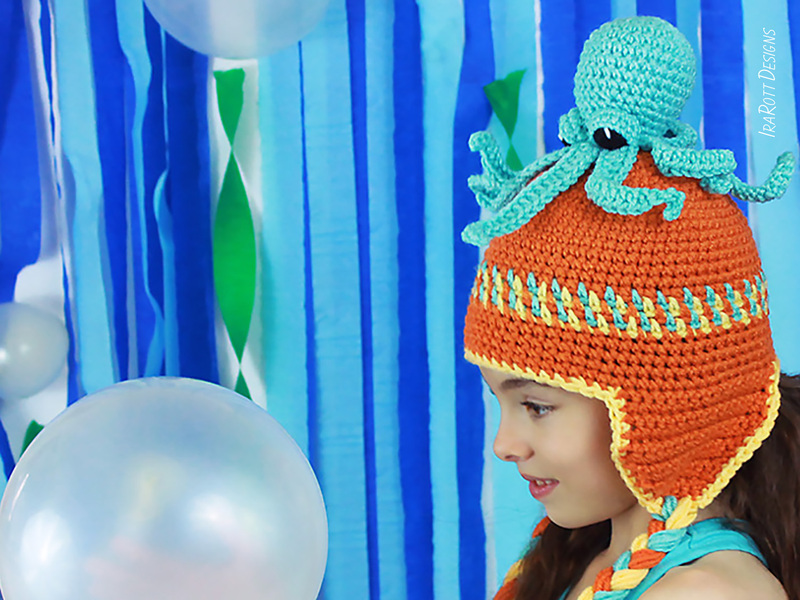 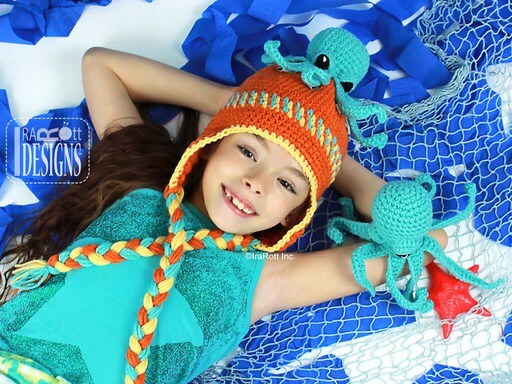 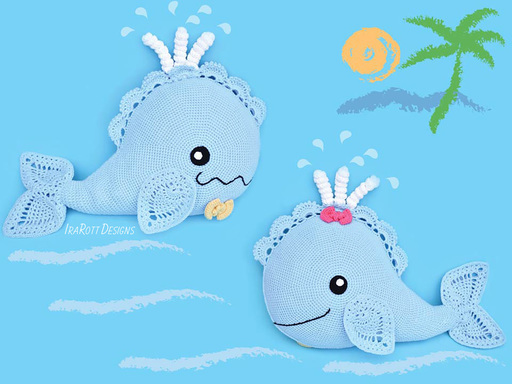 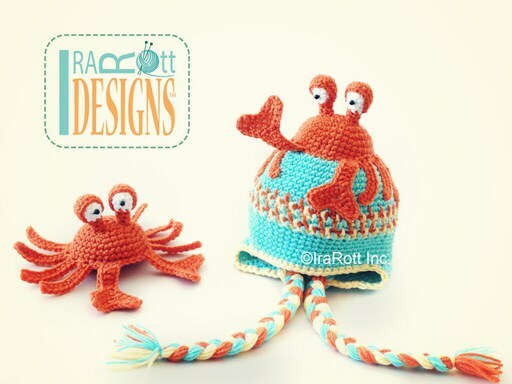 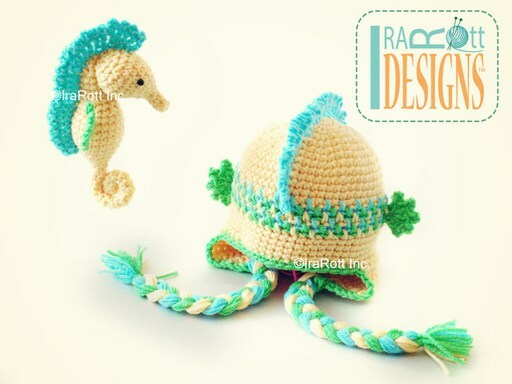 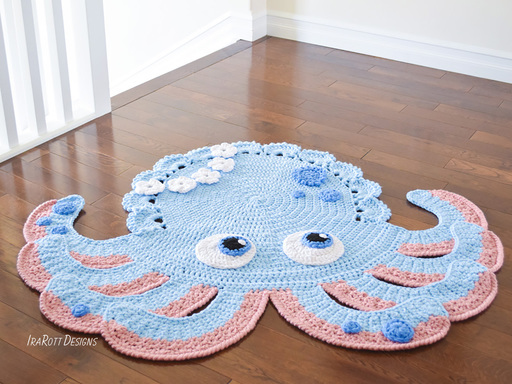 Inky the Octopus Hat and Toy Set PDF Crochet Pattern - IraRott Inc. FORMAT: PDF, 17 pages, 3.8 MB (mobile devices friendly). Language - English. 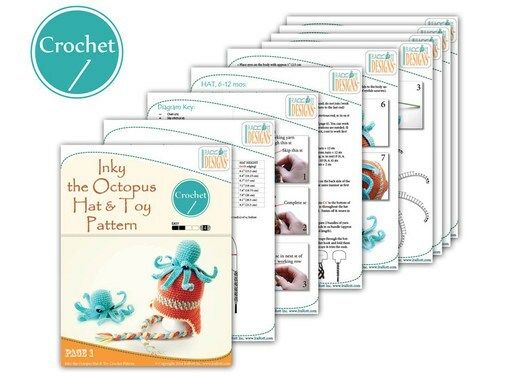 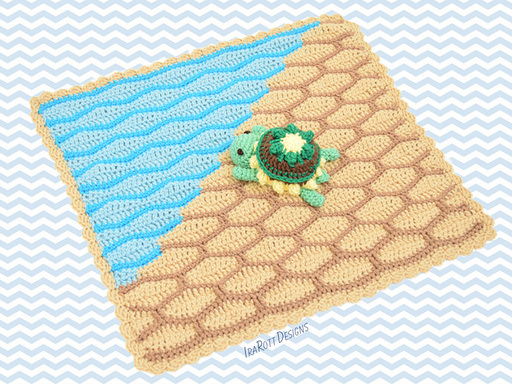 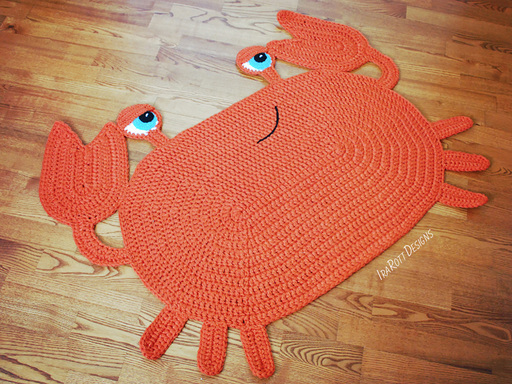 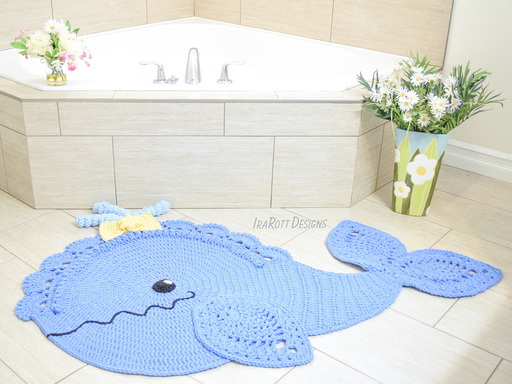 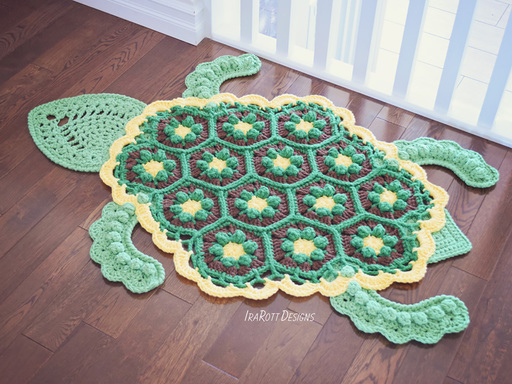 The pattern is written row-by-row using US crochet terms, diagrams, and step-by-step photos (easy to follow). 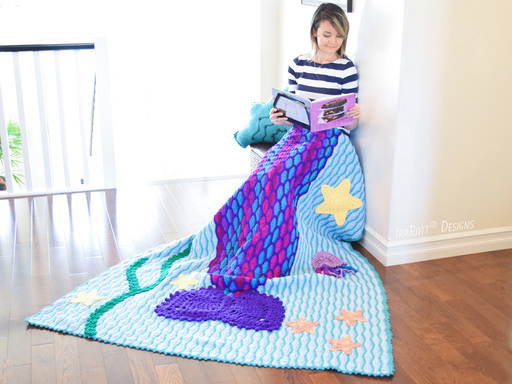 SKILLS: Chain, slip stitch, single crochet, half double crochet, double crochet, spike stitch (long single crochet), working in rows & in the round, increasing, decreasing, sewing.